our latest christmas decoration, so sweet! day 194 and we are crafting with the peeps for today's creation. 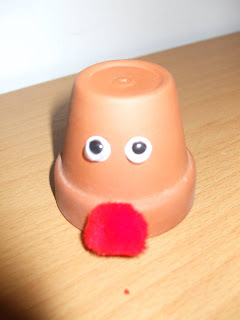 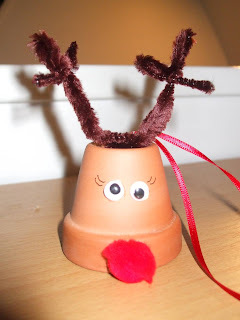 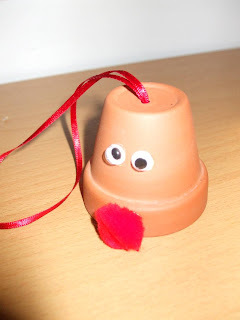 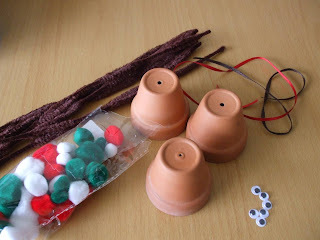 these terracotta pot reindeer are so cute and a great idea for making with the peeps. 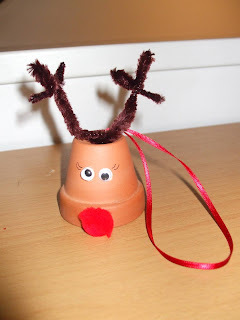 the idea comes from rhonda at dollar store crafts and is pinned to my 2011 advent crafts board. 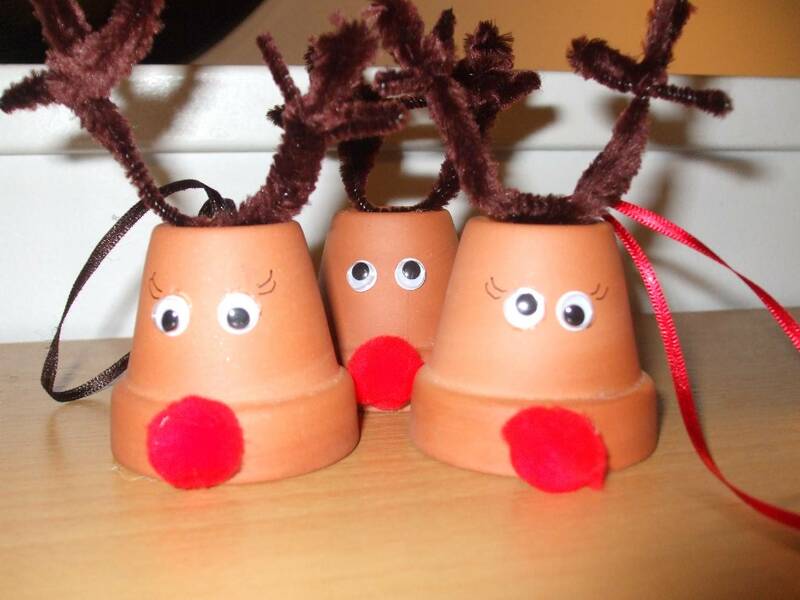 our set of reindeer is growing!! outcome: these were lots of fun for the peeps to make and not too taxing which is good for over excited little ones who are madly counting down the days to christmas!